MONTEREY, Calif. —Motiv Sports, a leader in active lifestyle and entertainment events, is excited to announce a new multi-year partnership with CLIF BAR as the official energy bar at the 35th Annual Wildflower Experience on May 4-6, 2018. Wildflower is one of the most recognized and prestigious events in triathlon and best known for its legendary race course, energetic aid stations, and three-day festival at Lake San Antonio in Monterey, Calif. The new partnership will not only energize Wildflower athletes with CLIF BAR’s organic and nutritious foods on the race course, but throughout the iconic weekend, attendees will experience an energetic CLIF Camp, sample stations and even a CLIF ‘80s Tri-Geek Party on Saturday night. CLIF Camp will be located at the epicenter of the race course to provide Wildflowers’ most energetic fans and athletes a place to energize up, hang out, or socialize within the race venue. Events at the CLIF Camp begin Friday with a family-friendly movie night and, of course, popcorn. On both race mornings, to get the athletes’ motors running, CLIF BAR will be serving their delicious CLIF® Nut Butter Filled Energy Bars. By race start, the CLIF Camp promises to be everyone’s favorite lounge-style hang out with hammocks, inflatable bean bags, games, CLIF treats and music to keep the Wildflower spirit beating through the evening. 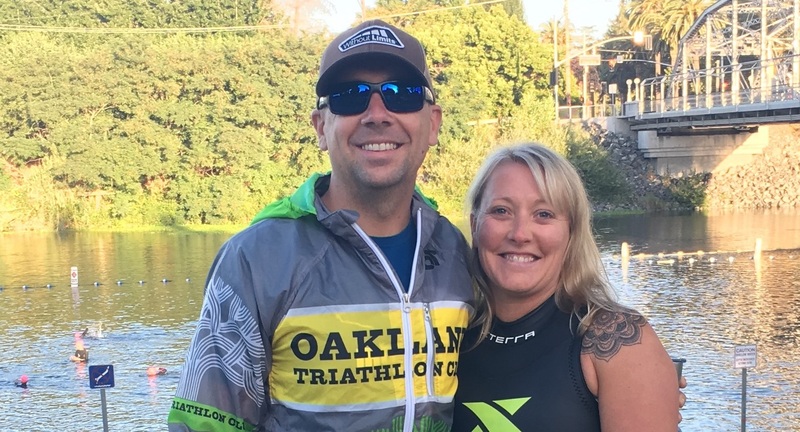 At the end of the race on Saturday, join CLIF BAR at the ‘80s Tri-Geek Throw-Back party where athletes and families can celebrate their race achievements alongside legendary triathlete Kenny “Kaboom” Souza. Athletes are encouraged to recreate their own Kenny Souza look with classic ‘80s style triathlon attire including florescent Lycra, neon shades and crimped hair. All events take place at Lake San Antonio, South Shore in Monterey County, CA. *The WF2 (athletes race the long course Saturday and Olympic Course Sunday) is also available for the 2018 race weekend. Clif Bar & Company crafts nutritious and organic food to feed and inspire adventure, including the CLIF® BAR® energy bar; CLIF Kid®, Nourishing Kids in Motion® and LUNA®; The Whole Nutrition Bar. Family and employee-owned, the company is committed to sustaining its people, brands, business, community and the planet. For more information on Clif Bar & Company, please visit www.clifbar.com, check out our Facebook page at www.facebook.com/clifbar and follow us at www.twitter.com/clifbar and www.instagram.com/clifbar. Beginning in 1983 at Lake San Antonio in Central California, The Wildflower Triathlon is one of the most iconic races in the sport. 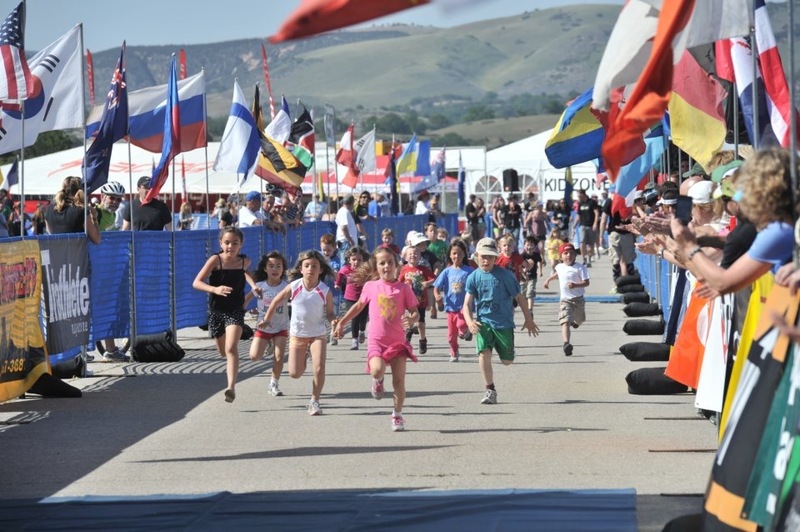 Held the first weekend in May, “The Woodstock of Triathlon,” is host to a Long Course, Olympic, Sprint and Mountain Bike distance events over the 3-day endurance sports festival. The Wildflower Triathlon Experience returns for 2018 on May 4 – 6. Learn more at www.wildflowertriathlon.com. Motiv Sports is an active lifestyle and entertainment company focused on delivering authentic and immersive live and digital experiences. Founded in 2015, Motiv Sports is headquartered in Denver, CO, with offices across the U.S., Australia, United Kingdom, Europe and Canada. With decades of experience in the sports and entertainment events industry, the company is continually refining what works while exploring unique partnerships and opportunities to further enhance the consumer experience. The Motiv Sports platform currently consists of 41 triathlon and running events and digital properties with plans to expand into several vertical industries in the outdoor lifestyle space. A belief in better is the root of all motivation. That’s what Motiv Sports is all about. Learn more at www.motivrunning.com.